Facebook wants to friend your kid… Should You Accept Or Deny The Request? Numbers are powerful. In May, Consumer Reports announced that 7.5 million kids and younger are on Facebook. Who would have believed it? But it’s true. Is it legal? 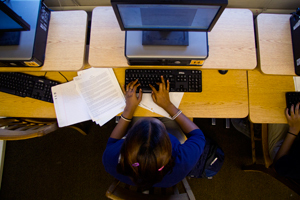 What does it mean to online education potential via Facebook? What does it mean to school bullying and sexting? And What does it mean to privacy laws and parental supervision? The magazine called this “troubling news,” in no small part because their presence is at odds with federal law, which bars Web sites from collecting personal data about kids under 13 without permission from their parents. “Clearly, using Facebook presents children and their friends and families with safety, security and privacy risks,” Consumer Reports concluded. According to the NY Times article, the affect of Facebook on kids is not known yet, except kids will be more willing to “share” if they become Facebook users early. Increasingly, Facebook is staking its future relevance and profits on this idea of sharing, which it made “frictionless” in late September. 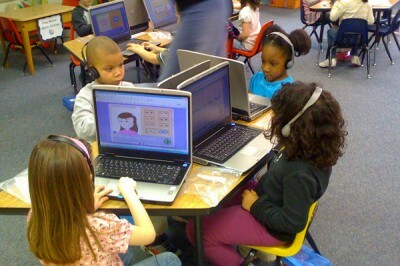 However, there is an argument that supports Zukcerburg’s hope to enable kids to become Facebook users early. Larry Magid, a co-director of the nonprofit ConnectSafely, seconded the idea in a blog post called “Facebook Ought to Allow Children Under 13.” Magid argued that given the millions of young kids already on Facebook despite the law, we’re better off letting them on legally and then hoping Facebook comes up with stricter privacy controls. The bottom line: if more kids use Facebook, they will share more Hence, more targeted ads can be delivered resulting in higher revenues for Facebook. In the meantime, Congress has recently passed the legislation “ Do Not Track Kids” that will prevent Web sites from using kids’ data to target ads in any way. Can companies like Facebook wait until kids are 17 years old? Pearson Draws Criticism From New York to Texas… Justified? Or Unjustified?